In the picture above,the slats underneath are just set into place (not attached yet). I didn’t want to attach them before finishing as it would make staining them a real pain. 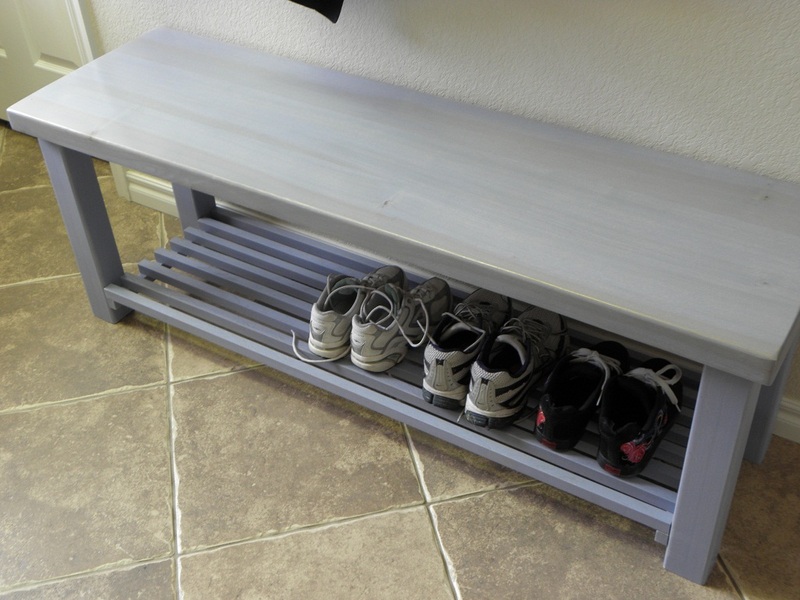 As you see in the picture below, we were able to stain the slats individually. 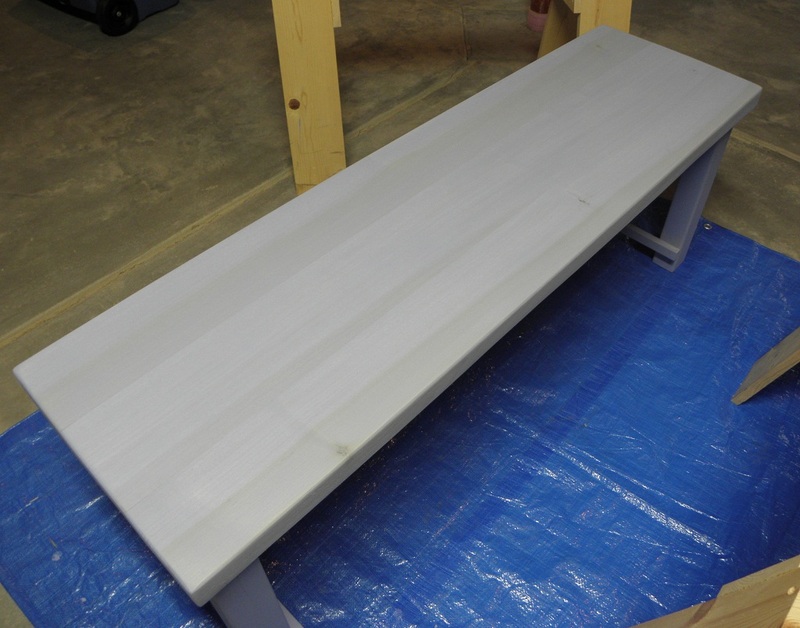 Laura chose a nice blue stain and then poly’d it several times to protect it from use. 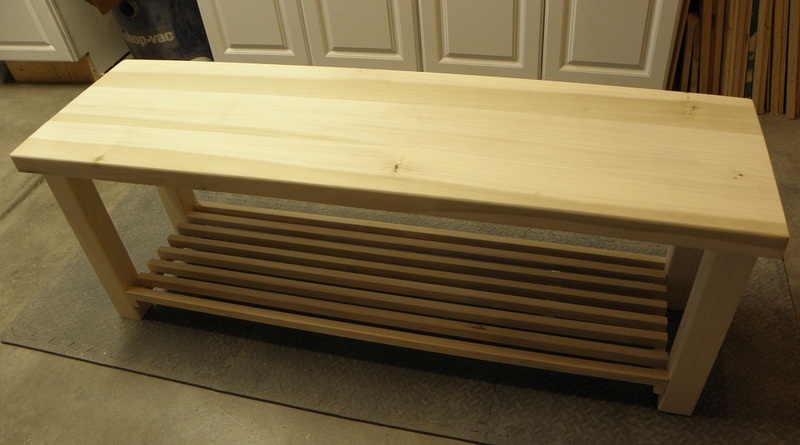 And here is the final bench, sitting in the mud room ready for “sitters”. Hope you enjoyed this brief description of this project!